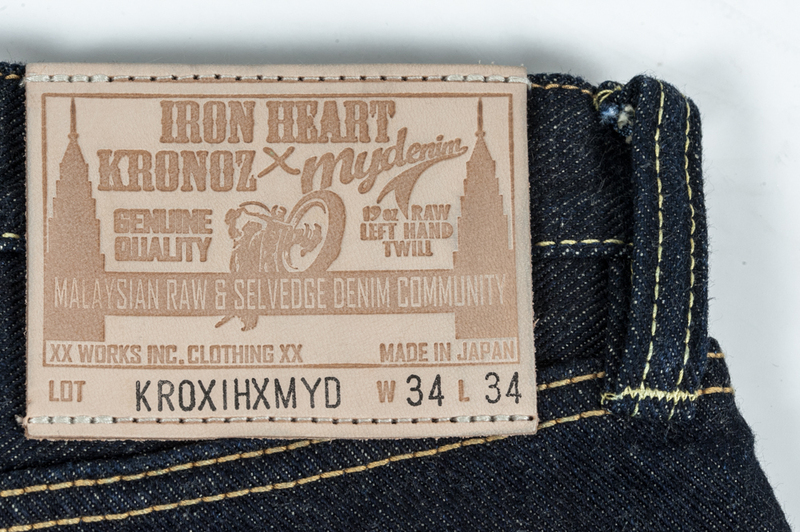 Malaysian denim retailer Kronoz and denim community Mydenim have recently teamed up with Shinichi Haraki and Giles Padmore of Iron Heart to produce a collaboration jean; Malaysia’s first ever with an international brand. 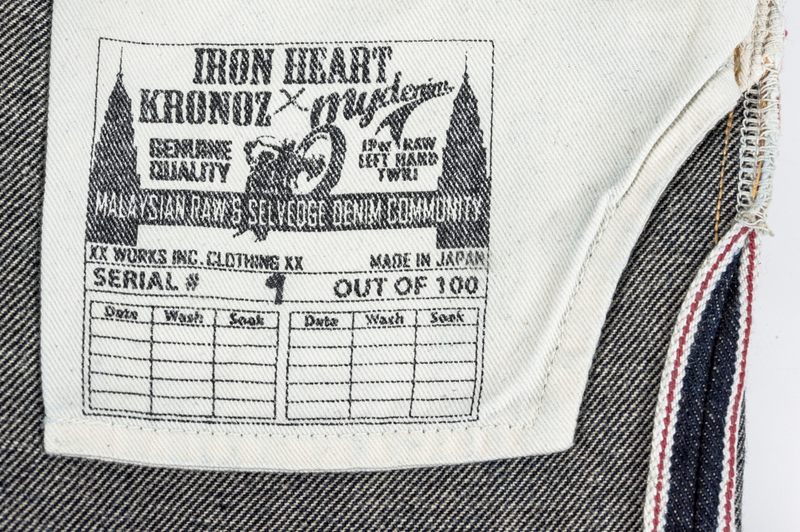 The Kronoz x Iron Heart x Mydenim (KROXIHXMYD) jean is based off the 19 oz. 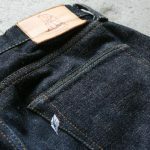 left hand twill, slim fit IH-666S-19L. 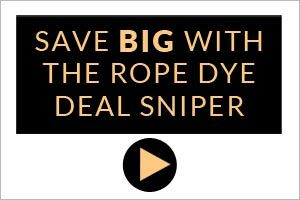 But there are key features that make this an original. The limited edition numbered run of 100 pairs (less than 40 remaining) includes a custom embossed cowhide leather patch depicting the iconic Kuala Lumpur Petronas (Twin) Towers as well asclassic Iron Heart motorcycle imagery, representing the Malaysian branch of the Iron Heart Army. 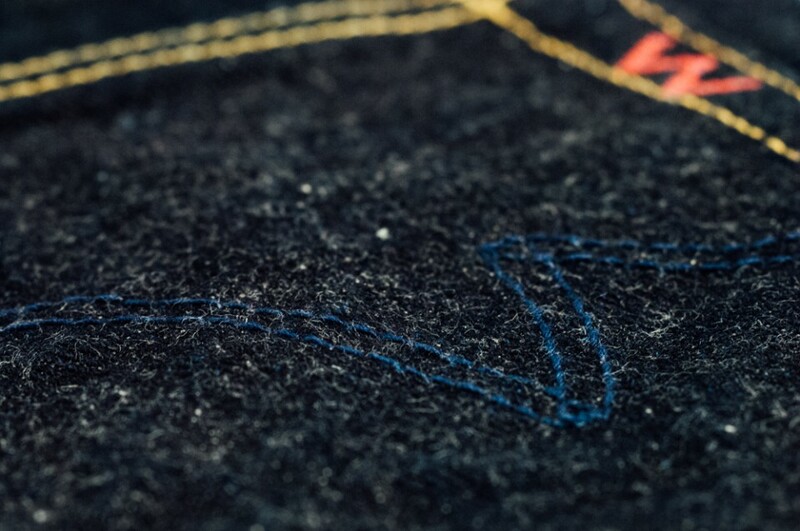 Made from ‘super dark indigo’ denim, the KROXIHXMYD’s other noticeable, or rather unnoticeable, difference is the ‘stealth arcuates;’ dark navy stitching that in time will show through the denim as the rear pockets begin to fade from washing and wear. 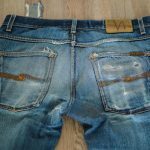 A detail that is becoming popular among denim brands, but not seen in previous Iron Heart productions, is the denim ‘wash/soak chart.’ This allows any avid denim enthusiast to track their wear and wash progress, from day one to possible extinction. For those denim collectors out there, the KROXIHXMYD’s are available for purchase (whilst stocks lasts) in sizes 28 – 44 via the Kronoz Facebook page for approximately 450USD plus international shipping (price on enquiry).